It seems like every spring and autumn, I hear comments from Outside, about how quick those two seasons blow through Alaska’s Interior. It’s a damn shame too, because in spite of the warning that this month sends us, September is my favorite month in the Interior. Here in the valley, we had a light frost for the first time on Thursday morning, the 1st of September. The grass was white, but at least it wasn’t crunchy. By the end of September last year, we were already talking about snowfall measured in feet, as opposed to inches. Let’s hope for an extended autumn this year. The tri-photo comes courtesy of The Curator. 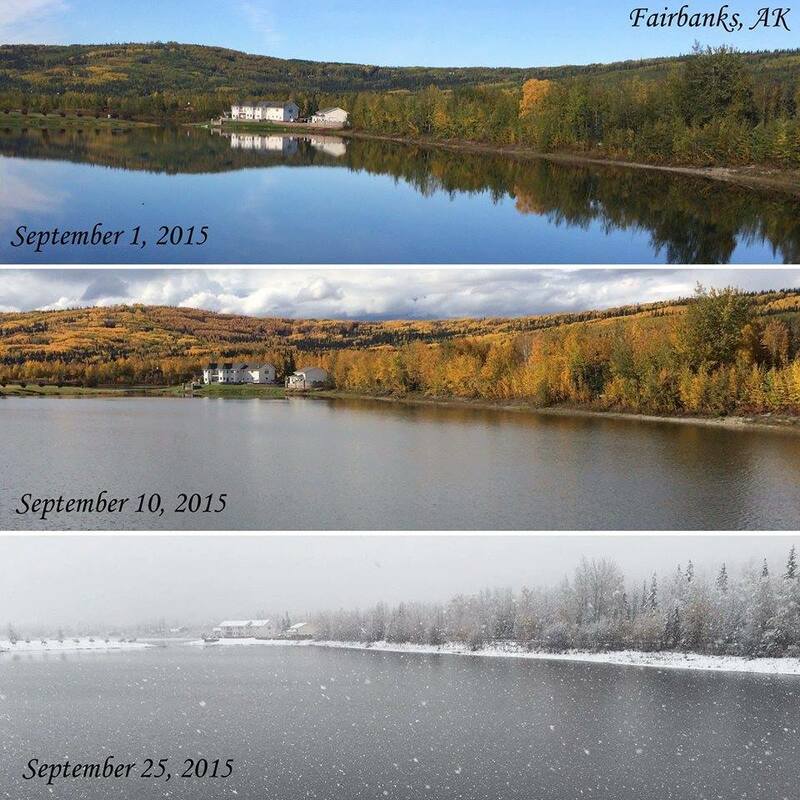 This entry was posted on Friday, September 2nd, 2016 at 12:36 PM	and tagged with Fairbanks, photo, snow and posted in Alaska. You can follow any responses to this entry through the RSS 2.0 feed.